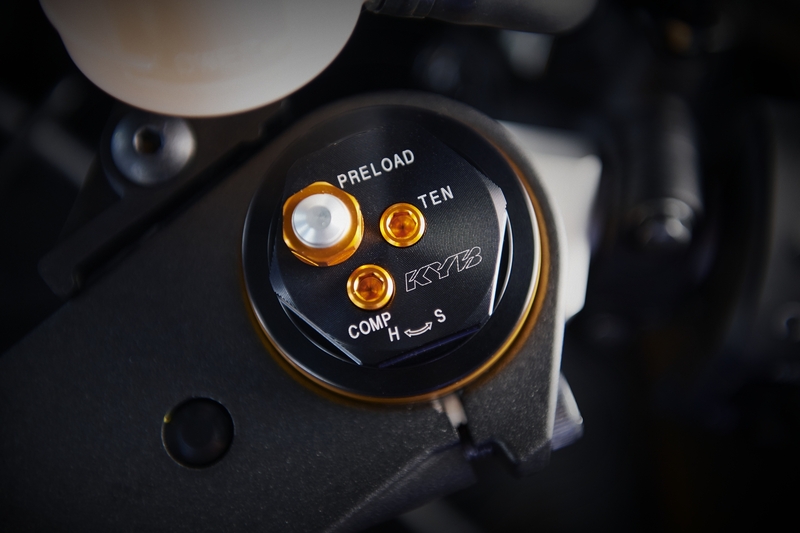 We’ve taken the bike that’s won three World Supersport titles in recent years, and made it even more efficient by reducing drag. 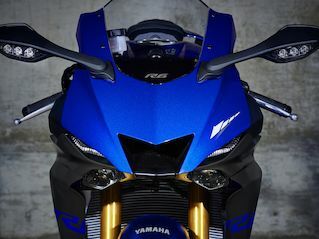 Developed from the proven YZF-R1 design, the dynamic looking front cowl and redesigned screen underline the strong R-series DNA and contribute towards an 8% increase in aerodynamic efficiency. 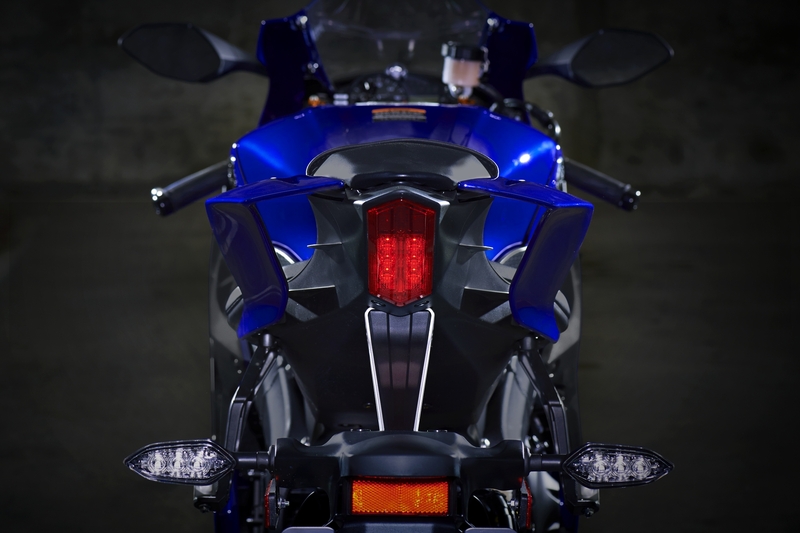 Developed using next generation R-series design, YZF-R6 features an aggressive face featuring hidden recessed headlights and dual LED position lights that give a radical look. 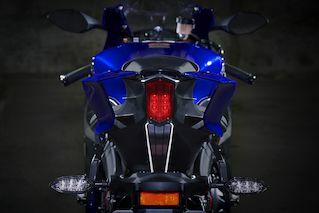 With its sharp bodywork and flowing horizontal lines, this 600 supersport has pure race bred R-series DNA running through its veins. Featuring a wide range of high-tech electronic systems, the YZF-R6 is the most sophisticated 600 supersport bike we’ve ever created. 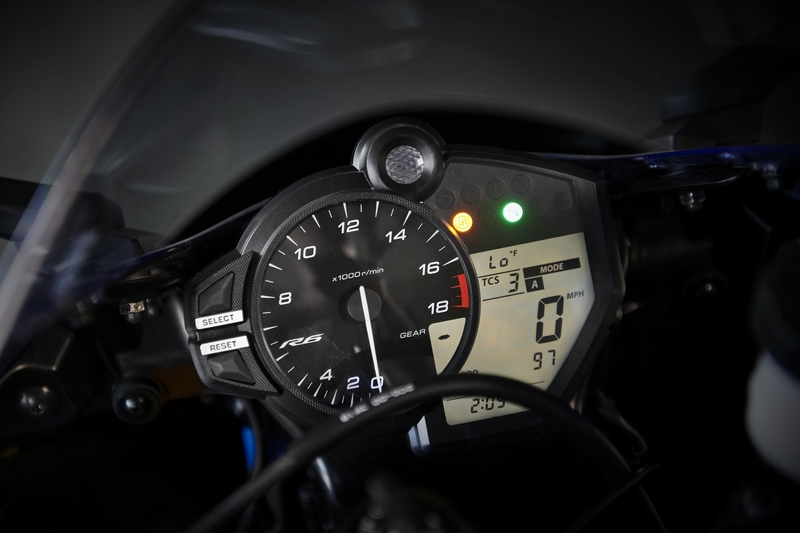 Equipped with a 6-position Traction Control System (TCS) as well as a Quick Shifter System (QSS) for clutchless upshifting, and D-Mode adjustable engine power, the YZF-R6 gives you ultimate control. 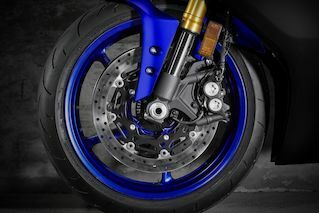 Your body position - and the ability to shift weight quickly and easily - is one of the most influential factors in achieving ultimate handling performance. The seat, subframe and fuel tank are designed to create an enhanced riding position that enables you to move freely about the bike when braking, accelerating or cornering. 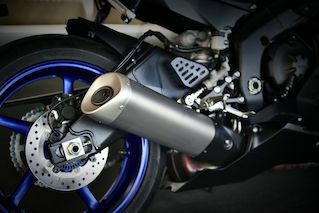 Manufactured from CF die cast magnesium, the rear subframe contributes towards the bike’s light weight - and is 20 mm narrower at its front end to accommodate a slimmer seat. 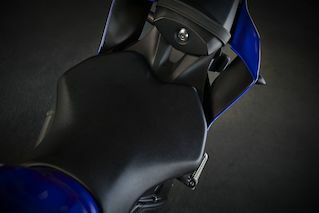 By allowing you to mould your body more closely to the chassis, this design improves controllability and contributes towards the improved aerodynamics. 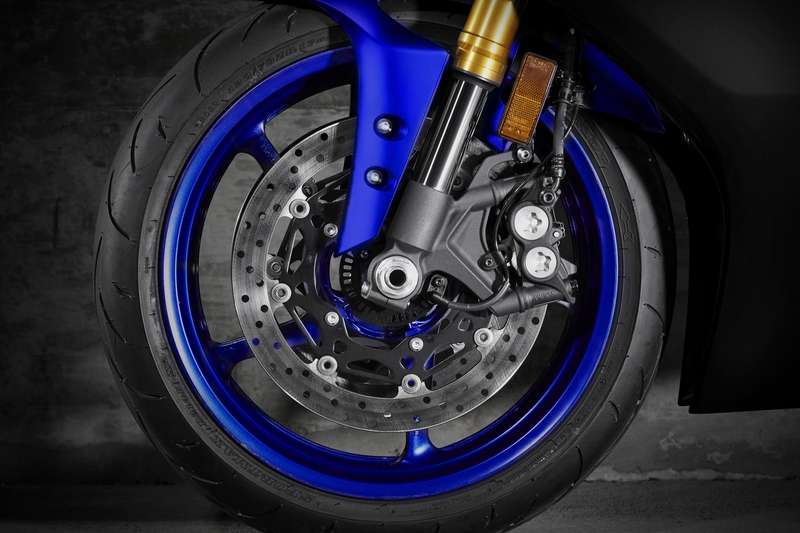 To match the bike’s 43 mm front forks we’ve fitted dual 320 mm discs that are gripped by radial mount 4-pot opposed piston callipers. Built to the same specification as the system on the YZF-R1, this advanced class leading design gives outstanding stopping power – while the ABS gives you improved control in all conditions. With its addictive high-pitched scream and instant throttle response, the 599cc, inline 4-cylinder, 4-valve, DOHC engine makes the YZF-R6 one of the most adrenaline charged rides you’ll ever experience. 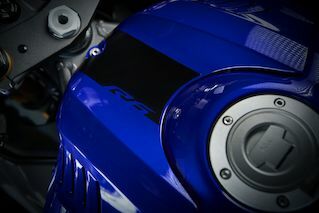 With its advanced chip controlled throttle and adjustable intake, this high-tech engine delivers optimum performance.